Central Baptist College is pleased to announce that commitments to Vision 2020: A Miracle in the Making have topped the $10 million mark. Vision 2020 is a plan to complete ten major construction projects over ten years to accommodate a student enrollment of 2020 students. In mid-November, CBC received a $1.3 million gift which put the Vision 2020 total at $10,078,865. 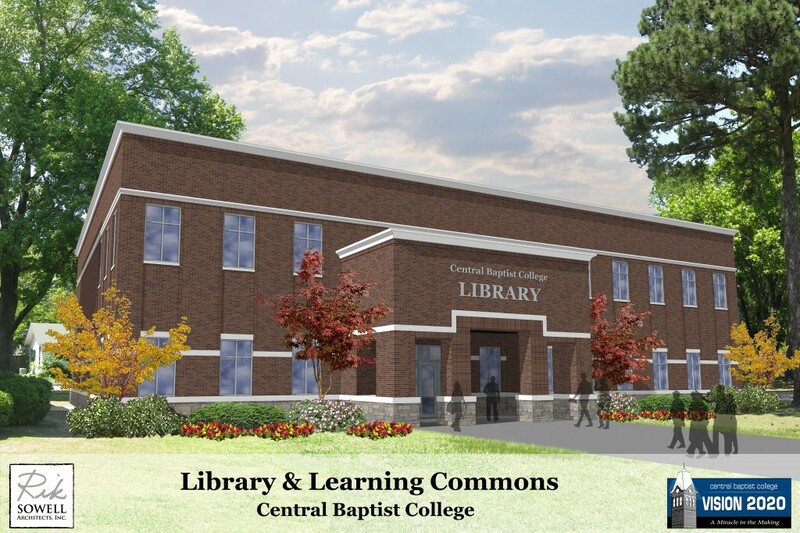 A major benefit of the additional $1.3 million pledge is the opportunity for the College to construct a new Library facility instead of renovating the existing structure. From the beginning of the library project, CBC library staff had the benefit of their own research, of other libraries throughout the country, as well as the advice of a recognized expert in the field. Several key elements were identified to create a facility that would meet the needs of students for years to come. A new, two-story building will be built on the current site of the Administration/Library Building once demolition of the current building takes place, and will be just over 16,000 square feet. Construction is set to begin early in 2013. Features that were to be included in the renovation and expansion will be included in the new building, but the configuration of the space will allow a more efficient use of the building. Preliminary layout includes the following: library staff offices, learning commons, 30+ computer workstations, multimedia classroom, café and café seating area, Ronald V. Mitchell Archives, science resource center, music listening lab, media curriculum center, conference rooms, group and private study rooms, and book stacks. Floor plans, outside elevation, and naming opportunities are being developed and will be available in the coming weeks. CBC launched Phase 1 of Vision 2020 in February 2011 with a $12 million goal to fund the three construction projects. The first project in Vision 2020 was the construction of the David T. Watkins Academic Building which was completed earlier this year. The Library Project, which is currently underway, is the second project, followed by the construction of a new residence hall.